When was the last time you exclaimed that you simply can’t wait to crunch some numbers? If you’re like other drivers we serve from Butler, Pittsburgh, Mars, Gibsonia and Zelienople, chances are the answer is never. As for our team of car loan and lease experts, here at Diehl Toyota Scion of Butler? They embrace adding, subtracting, dividing their way to unique financing solutions, perfectly tailored for your new car and, of course, your individual needs as well. Looking for a Great Toyota Lease? Our Dealership Serves Greater Pittsburgh Drivers with Competitive Rates! Interested in seeing what our team can do for you? Simply fill out our online contact form today. Or take a look at current incentives with for that lease offer. We’ll get back to you as quickly as possible in order to discuss specific details. Or, if you’d rather talk to us in person, you’ll find Diehl Toyota Scion of Butler located conveniently at 266 Pittsburgh Rd. If you’re a constant commuter in and around Pittsburgh, PA, a new Toyota lease might be the best choice when shopping here. You’ll find a great new Toyota that fits your needs, and you’ll enjoy the lower costs on upfront and monthly payments as well. Visit us today and see if a new Toyota lease is the best kind of auto financing for you. The reason we mention city drivers heading in, out and throughout Pittsburgh, is that you’ll enjoy the comfort of keeping your mileage down. By sticking within the pre-agreed upon annual mileage limit, you’ll avoid added costs on your lease. With any new Toyota that you’ll lease from us, you’ll be able to upgrade your trim level and find extra options and features while sticking within your budget. Beyond the added features you’ll enjoy, your Toyota lease will most likely be covered by some great warranty agreements. That means the majority of visits you make to our service center will be covered by your lease agreement, and we’ll keep you up to date on scheduled maintenance. We’ll let you know when you need to bring your Toyota in, but you can also easily schedule a service appointment here online. Any time you visit us here in the Pittsburgh area, you’ll be looking for the best deal on your next new Toyota. With that in mind, you’ll want to consider our new Toyota specials, which often have some great lease deals for you. All told, we’ll work with you to make sure you’re getting the kind of new Toyota you’ll love, at a price that makes sense. 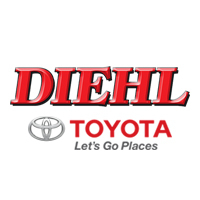 Come on over to Diehl Toyota Scion of Butler today and see what kinds of lease deals you can find here in the Pittsburgh area.